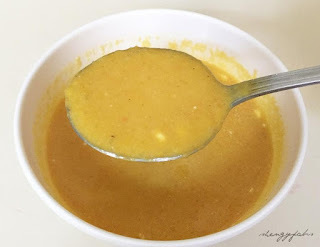 The gloomy weather made hubby wants Pumpkin soup today. Well, his wish is my command. I already shared this recipe previously, but this time I added carrots. Visit this link for your reference. Hi Ms Shengy, i really think this is yummly.com worthy recipes. I think you should try visiting that site and link your creations, i am pretty sure it will expound your networks. Looking forward for more posts from you.